Djerba, the biggest island of North Africa, is definitely one of the most popular tourist spots, particularly for Djerba holidays: Fantastic climate, long, sandy-white and sloping beaches, warm-azure waters, endless palms and olive trees, picturesque villages, colourful bazaars, cheap prices, comfortable and attractive (mostly all-in) hotels, an interesting culture etc. Djerba, the gate to the oriental world, is located on Europe’s doorsteps and can be approached in less than three hours from Central Europe. 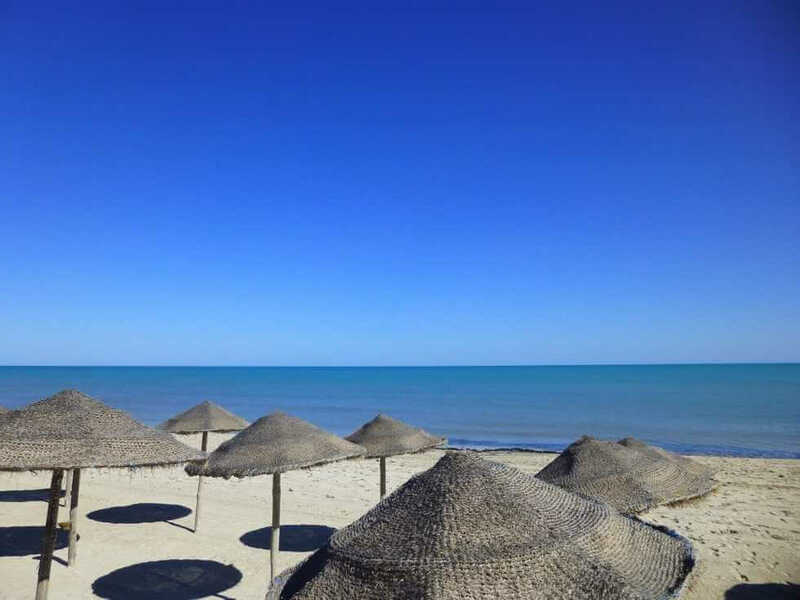 It is especially popular with families and offers relaxing holidays for Djerba holidays enthusiasts, though not boring as there is enough variety, beginning with a desert trip through the endless Sahara, to sunbathing, repose, all-in sports and great buffets in your hotel. Long before Phoenicians, Romans, Arabs or French arrived, the Berbers had settled on the island. Most of the inhabitants today are Berbers, but their origin is still uncertain. According to mythology, Djerba was the home of the legendary Lotus Eaters from the Odyssey. However, the first certain visitors were the Phoenicians, who established a commercial settlement on the island. They were ruled out by Romans, who on their part built many villages as well as the Roman Causeway, connecting the island to the mainland, and who renamed the capital city Meninx in Girba, which was to become the current name of the Island: Djerba! The Romans used the favourable location of Djerba for slave caravans. After the end of the Roman Empire, Vandals, Byzantines and Arabs were fighting for the rule. After the Arab conquest in 666 AD, the population became Islamic, as it is today. In the 13th Century, Spaniards conquered Djerba but they were fought by Berbers. Soon, the island became a base for pirates; the most famous among them was the pirate, Dragut. In 1550, the Spaniards started a major offensive but Dragut took revenge and killed 15,000 people. The Spaniards who were still in Houmt Souk had to capitulate and all 5,000 were beheaded. There is still a plaque on the beach of Houmt Souk where 5000 skulls of the Spanish were piled pyramid style. It was in 1881 that the French came to power and the skull tower was smoothed out. After World War II, the struggle for independence came to the fore and on March 30, 1956 Tunisia became officially independent. The development of tourism began in the 60s and today Tunisia is still geared up for tourism, making it a historically significant place for tourists to spend Djerba holidays. In Tunisia, almost all inhabitants believe in Islam, which is state religion. On Djerba, 98 % of the inhabitants are Muslims. Most of them are Ibadites, who form a self-contained, rather conservative group alongside Sunnites and Shiites. There are Jewish and Christian minorities of 1% per religion. In order to avoid embarrassing situations and as a sign of respect, you should follow some rules when you leave the hotel during your Djerba holidays tour. Revealing clothes are a no-no! Plunging necklines are okay in your hotel but not outside and you should cover your shoulders and your knees, especially if you intend to visit a mosque and if you don’t wish to stay outside. When entering a mosque, you should not forget to cover your hair as well. There are around 250 mosques on the island of 514 qkm. However, entry is mostly refused to non-Muslims; you can only visit mosques that are not used anymore by Muslims. Furthermore, you will look vainly for alcoholic drinks on the menu in restaurants or in supermarkets, something to consider when planning for Djerba holidays. Due to the religion, alcohol is generally not being sold on the island. If you visit Djerba on Ramadan, of course you will not be missing anything at the buffet, but in the presence of Djerbi, who will be fasting, you should renounce the consumption of food or tobacco. The official language in Tunisia is Arabic but even if you speak Arabic, it is possible that you will not understand the inhabitants because of the different dialects. French, the lingua franca, is spoken fluently by almost every Tunisian. Of course, most of the employees in hotels, restaurants and shops, as well as the market vendors speak enough German and some phrases in English or Italian so you can still communicate with them during Djerba holidays. However, you can only win, either favour or when bargaining, if you know some Arabic words. How are you? – Lebes? How much is this? – Khaddesch? No, thanks! – Le, shoukran! I have this already. – Ena handi. 3. Djerba Explore: at the end of the “zone touristique” , next to the lighthouse on the way to Midoun, there is this great park, constructed like a traditional village. 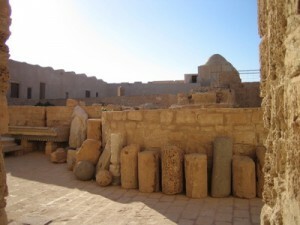 There, you can find the Lalla Hadria Museum with unique artefacts of North Africa, as well as the crocodile farm with more than 450 crocodiles. Yes, taxis are very cheap and comfortable, but try the slow train once, which is very cheap as well, to get to Djerba Explore and don’t miss the great feeding at 5 p.m.! 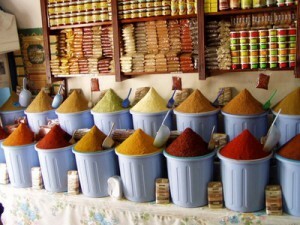 There is a reason why Djerba’s capital, Houmt Souk, means market corners. 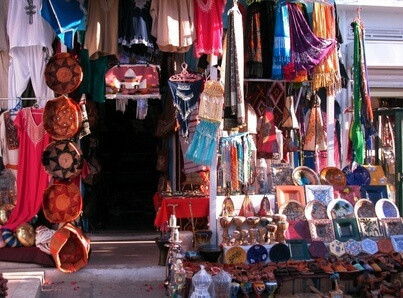 The bazaar alleys (souks) offer anything that your tourist heart could ever desire, and shadowy cafes and traditional restaurants are great to get a look at the life on Djerba while having a break off a Djerba holidays tour. The largest city also offers some sightseeing, like the Mosque of the Turks, the Mosque of the Strangers, the fort Bordj el Kabir, the Folk Museum or the small obelisk at the port, a memorial to the macabre “tower of skulls”. Midoun is the second largest town and it is only few steps from the touristic zone. That’s why it has become more or less a modern village. The Friday bazaar is worth a visit for every tourist, staying in a hotel of the “zone touristique”. 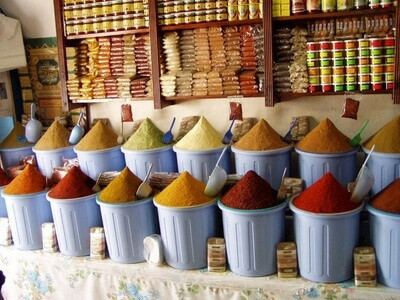 You get 100% bazaar: souvenirs, all kinds of presents, cheap spices, jewellery, shoes, clothes, simply everything. The only rule: Bargaining! If you pay more than 50% of the price suggested, you’re paying above value. This is also the case in the shops without a fixed price – 50 % is still too much! 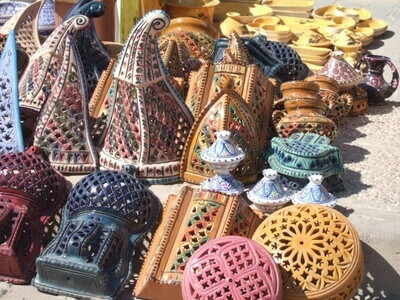 On a Wednesday or a Sunday, the market days, the picturesque village of pottery is worth a visit during Djerba holidays. There you can get cheap pottery and ceramics and watch the handicraft of the potters. Djerba has a striking flora, characterised by palms and olive trees. More than one million palms and 500.000 olive trees that are over 2000 years old transform Djerba into a huge, fabulous garden. Djerba’s fauna only gets interesting with the end of summer. Now the season of migratory birds begins and you can see many seagulls, wading birds, egrets and of course flamingos. 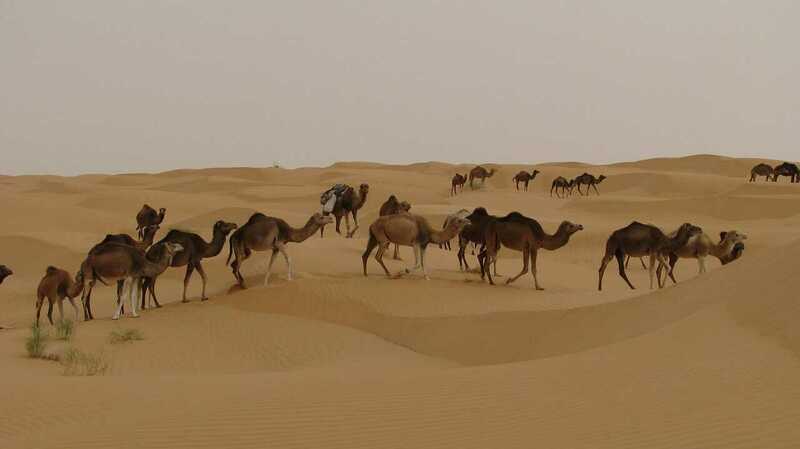 Among domestic animals, the dromedary, the one-humped camel, is the most interesting one. The surrounding, shallow waters offer a colourful marine fauna. 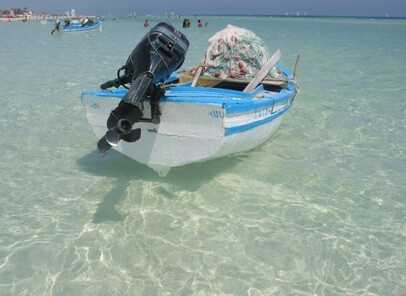 However, Djerba is not really recommendable for nature lovers. Apart from palms and olive trees, there is not much more to see in summers. Djerba holidays lovers should note that only persons travelling from November to March might wish to take a look at a verdant flora and interesting visitor birds. From December to March you can watch pink flamingos, if you book a trip to the northern sandbanks. 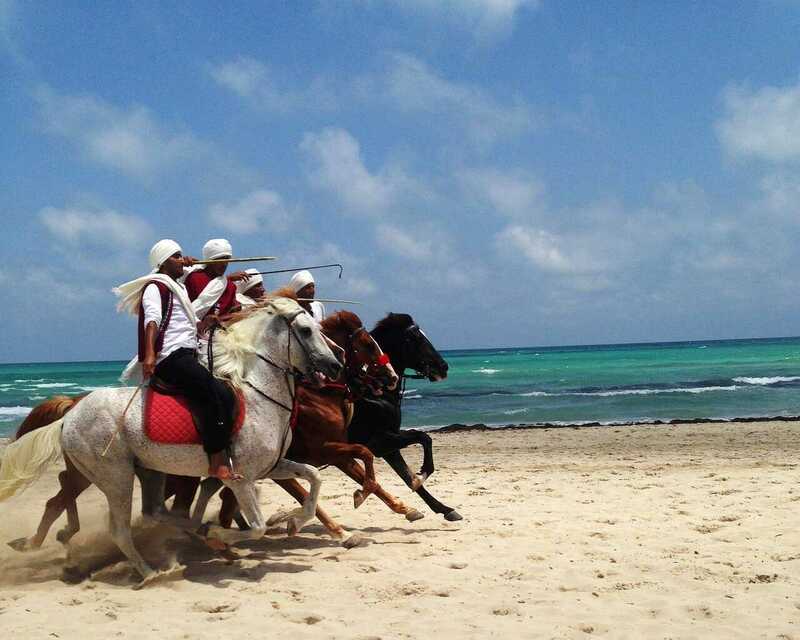 Djerba is a paradise for passionate riders as well as for beginners who want to ride along the lovely beach – perfect way to enjoy Djerba holidays. There is a stable close to any hotel. There you can book a ride with a horse, a camel or a carriage. The water sports station in your hotel offers various trips at a low price, for example a trip to the Blue Lagoon or to the dolphins via catamaran or motorboat. A trip from Djerba to Douz on the mainland, the gate to the desert, is offered in any hotel. Whether you go for a trip with a jeep or on a camel’s back, the endless Sahara is a unique experience especially for those looking to celebrate Djerba holidays. The Roman Causeway, that is 7 km long, joins Djerba to Zaris on the mainland. In Zarsis, there is not really any sightseeing but nice, quiet and sandy natural beaches and a life away from tourism. 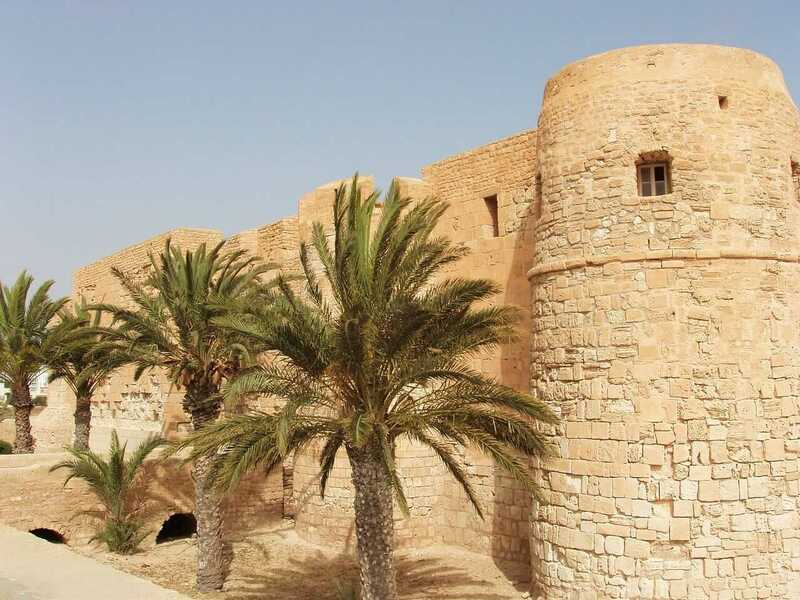 In the South of Tunisia, you should visit one of the numerous oases as part of your Djerba holidays tour; Recommendable: Desert oasis towns Nefta or Chebika, as well as Tozeur with over 3 million palm trees. Harissa: Djerba’s No. 1 spice, made from chilli peppers. Beware! Very spicy! The climate on Djerba is Mediterranean, which means that the climate of the veldt is affected by the Mediterranean Sea. Its general pattern is hot, dry summers and mild to cold winters with irregular rain days. Don’t trust in your travel catalogues that promise non-stop sunshine if you want to enjoy Djerba holidays; from November to March, the weather is not always predictable and you may need a jacket and maybe even an umbrella, so don’t forget some warm clothes. Rain days are really rare, the island has an annual rainfall of 200 mm. Djerba enjoys 324 days of sun a year and a daily average of eight hours of sunshine in winter and eleven in summer. From May to October, it is getting very, very hot. The midsummer temperature often exceeds 40°C and never falls below 30°C, the water temperature is about 25°C and the number of rain days is 0-1 a month. Maybe, the heat will even annoy your dreams. Compared to the winters, when the nights might get really cold, it never gets cold on a summer night. Djerba can be approached by air. There is an international airport, named Melitta. Almost every national airline offers scheduled and charter flights . The majority of the tourists are all-in travellers, some of whom are Djerba holidays lovers. 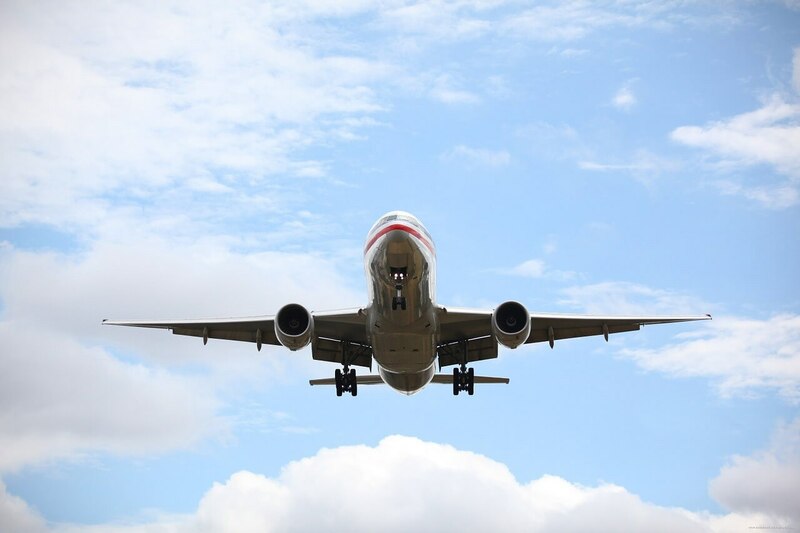 However if you’re considering an individual trip, you should check budget flight airlines which often approach Djerba and always have some special offers. You should take charge of accommodation on time, as hotels will be mostly booked up in summers. To enter Djerba, you need a passport that has to be valid for the following six months at least. It is highly recommendable to travel to Djerba with your passport and NOT with your ID card! Book tours, packages and activities on Tiketi and discover the unique places of Africa. Make your trip an unforgettable journey in Africa.